There was a solar eclipse today and although in NYC you couldn’t experience the “totality,” it was still something special to see. We know so much about the science and the whys and hows of what happens during an eclipse, but even with all of that knowledge, one can’t deny the mystery, the spectacular, and the vastness of such an occurrence. The feeling that things possess an archetypal magic is something that feels magnified in these rare events. It also feels like a respite, a pause and a welcome distraction/re-alignment. 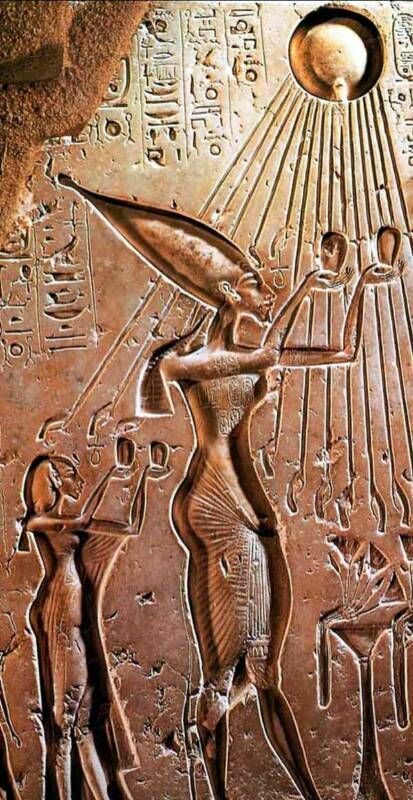 Below are some myths about the sun from various cultures and times long ago. There are peculiar and shared manifestations in many of these and it makes you wonder how universal things are and the depth of our human desire and need to comprehend external forces in internal scales. Enjoy and I hope you had a chance to see the eclipse and had a few moments to imagine how big and small the universe is. Once the sky had no day. When the sky was clear there was some light from the stars but when it was cloudy it was very dark. Raven had put fish in the rivers and fruit trees in the land but he was saddened by the darkness. The Sun at that time was kept in a box by a chief in the sky. The Raven came to a hole in the sky and went through. He came to a spring where the chief's daughter would fetch water. He changed himself into a cedar seed and floated on the water. When the girl drank from spring she swallowed the seed without noticing and became pregnant. A boy child was born which was really Raven. As a toddler he begged to play with the yellow ball that grandfather kept in a box. He was allowed to play with the Sun and when the chief looked away he turned back into Raven and flew back through the hole in the sky. A three-legged rabbit made himself a fourth leg from wood. The rabbit thought the Sun was too hot for comfort so he went to see what could be done. He went east at night to the place where the Sun would rise. When the Sun was half way up the Rabbit shot it with an arrow. As the Sun lay wounded on the ground the Rabbit took the white of the Suns eyes and made the clouds. He made the black part of the eyes into the sky, the kidneys into stars, and the liver into the Moon, and the heart into the night. "There!" said the Rabbit, "You will never be too hot again." Mesopotamia, Epic of Galgamesh, c. 2000 BC. In this ancient Sumerian story, Gilgamesh, king of Uruk, sets out on a quest for immortality to the Garden of the Sun, the land of everlasting life. To reach it, Gilgamesh must pass through the Sun's gate in the mountain of the horizon. The setting Sun disappears there and emerges from it at sunrise. A pair of terrifying scorpion-people stationed at the gate of heaven guard the Sun's path. But eventually Gilgamesh gains entrance to the next level. E. C. Krupp postulates: "Around the 17th century BC., Mesopotamian boundary stones began to carry astronomical symbols, including that of the terrifying scorpion-man... Some scholars identify this creature as the Mesopotamian antecedent of Sagittarius, the Archer. Although no one is sure that the boundary stone scorpion-man is also meant to be the Sun's bodyguard at the gate of heaven, the constellation could have evolved from the earlier imagery through its association with the Milky Way. "On the day the Lord gave the Amorites over to Israel, Joshua said to the Lord in the presence of Israel: "O sun, stand still over Gibeon, O moon, over the Valley of Aijalon." So the sun stood still, and the moon stopped, till the nation avenged itself on its enemies, as it is written in the Book of Jashar. The sun stopped in the middle of the sky and delayed going down about a full day." This account of Yahweh, the Judaic & later Christian god, stopping the movement of the Sun was the basis for the Catholic Church's refusal to acknowledge Galileo's proofs that the Earth went around the Sun. The Inquisition panel argued that the Sun could not have been stopped if, indeed, it didn't travel around the Earth. 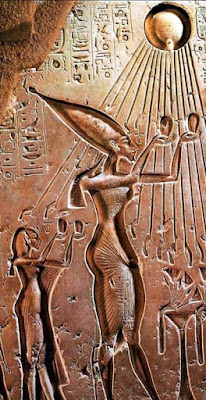 Re was known as the sun god and the creator in ancient Egypt. He took on many forms, each depending on where he was. Usually Re was portrayed with a hawk head, wearing a fiery disk like the Sun on his head. In the Underworld, the god took the form of a ram-head. Re was the creator of our world. In the beginning of time, an egg rose from the water. Once out of his shell, Re had two children who became the atmosphere and clouds. They in turn had more children, Geb and Nut, who became the Earth and the stars. They in turn had two sons, Seth and Osiris, the father of Horus. Re cried one day, and humans were made from his tears. He also created the four seasons for the Nile, a very important river in Egypt. Re combines with Horus to form Re-Harakhte, god of the Sun and the heavens. Liza was the Sun god to the Fon people of West Africa. His sister was the Moon god Mawu. The two were twins, but were also lovers. Together, they created the Universe with the help of the cosmic serpent, Da. It is said that Liza used his son, Gu to shape the world. Gu was the divine tool in the shape of an iron sword. He taught the people many different crafts, including ironworking. Liza was also the god of heat, work and strength. Mawu was the goddess of night and motherhood. Malina is the Sun goddess of the Inuit people who live in Greenland. Amaterasu was the Sun goddess of the oldest Japanese religion Shinto. When her brother Susanowo treated her badly, she hid in the cave of heaven and closed the entrance with an enormous stone. This made the world dark, and evil spirits came out of their hiding places. In despair, a conference of the gods decided to trick Amaterasu into coming out by having a party near the cave. They put a big mirror in front of the cave and beautiful jewels on a tree. Uzume, the goddess of laughter, began a dance accompanied by loud music. Hearing the music and laughter, Amaterasu was so curious that she took a look outside to find out what was going on. She was so fascinated by her own brilliant reflection in the mirror that she came out of the cave. Finally, the light covered and colored the world.